Vietjet crew are waiting to make your flight experience enjoyable and memorable. Vietjet, Vietnam’s rapidly expanding new-age airline, has just announced two new travel routes, Ho Chi Minh City to Tokyo in Japan and Nha Trang to Busan in South Korea. The carrier currently flies daily between Siem Reap and Hanoi, the northern flight hub for Vietjet. 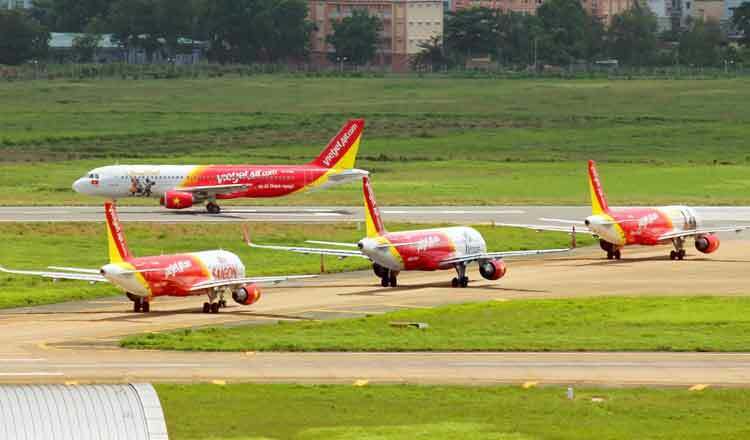 From Hanoi, flights depart for destinations across Vietnam and internationally, and as Vietjet continues to offer new flight routes — 107 and counting — the role of Hanoi and other Vietnamese cities as regional transport hubs increases. The Vietnamese capital Hanoi is a vibrant mix of history and modern design, and features plenty to attract visitors. This is especially true of the city’s parks, lakes and tree-lined avenues, which provide oases of calm in the bustling city. Particular standouts include Hoan Kiem Lake, or “Lake of the returned sword,” and the large West Lake in northern Hanoi, which features a 15-km cycle path to help you fully enjoy the nature on display. With plenty of restaurants, museums, shops, temples, markets and cultural attractions to keep everyone entertained, Hanoi is a great starting point from which to explore further afield in Vietnam, or beyond. UNESCO World Heritage Halong Bay is some 4-hours south of Hanoi, and is internationally famous for its natural beauty. More than 700 islands dot the ocean, and taking a boat to travel to some of the most stunning is a great way to see a different side to Vietnam. The new routes to South Korea and Japan launched this week, and highlight the growing list of flight options in Asia from Vietnamese airports. The two new routes joined the existing international flights including Japan, Hong Kong, Singapore, South Korea, Taiwan, mainland China, Thailand, Myanmar, Malaysia and of course Cambodia. With a technical reliability rate of 99.64%, Vietjet is the safest airline in the Asia Pacific region, and this dedication to safety and reliability has been recognised by the International Air Transport Association through their Operational Safety Audit, and the 7-star safety ranking (the highest possible) by AirlineRatings. (*) Excluding taxes and fees. Travel between May 14 and December 31 2019.